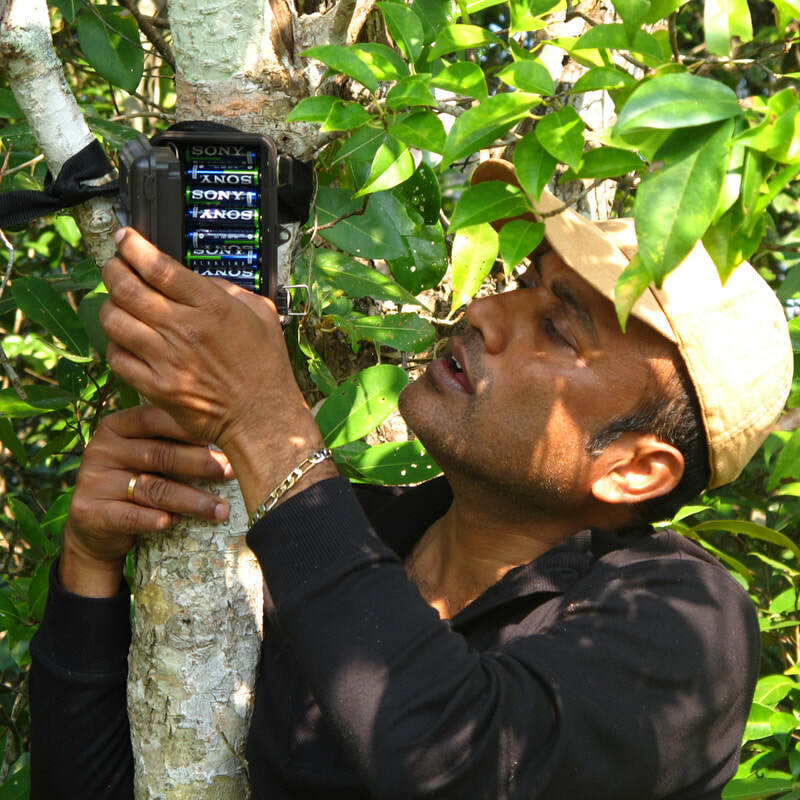 ​Ajaan George is an avian ecologist by training, but has been working with a very wide range of organisms for most of his 18 years at KMUTT. He enjoys working with students enormously – and has been an advisor or co-advisor for more than 30 students who have successfully completed MSc. or Ph.D. degrees. He is particularly interested in learning more about factors which affect avian nest predators and nest predation rates in general. He would also like to collaborate more with researchers to develop habitat models for critically endangered species such as Saola (Pseudoryx nghetinhensis). During his free time he likes to read about wacky US politics and current events, and read a good book of fiction now and then. ​Prof. Gale is currently accepting graduate students. 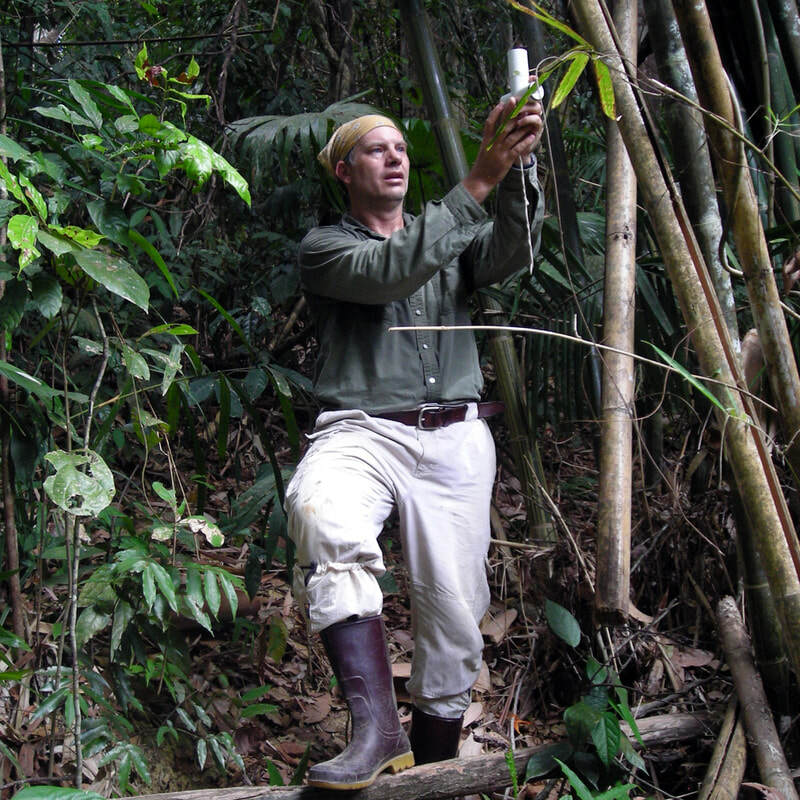 Starting from the concept that effective conservation can only be achieved when based on strong scientific foundations, focusing on the understanding of the species and/or the habitats/ecosystems one is attempting to preserve, Tommaso has spent the past 15 years studying the interaction between target species and their environment. Researching mainly on Primates and Galliformes (and to a lesser extent tigers, passerines, dolphins, and small carnivores) he investigates species status and distribution, socio-ecology, micro- and macro-habitat selection and the effects of human disturbance. 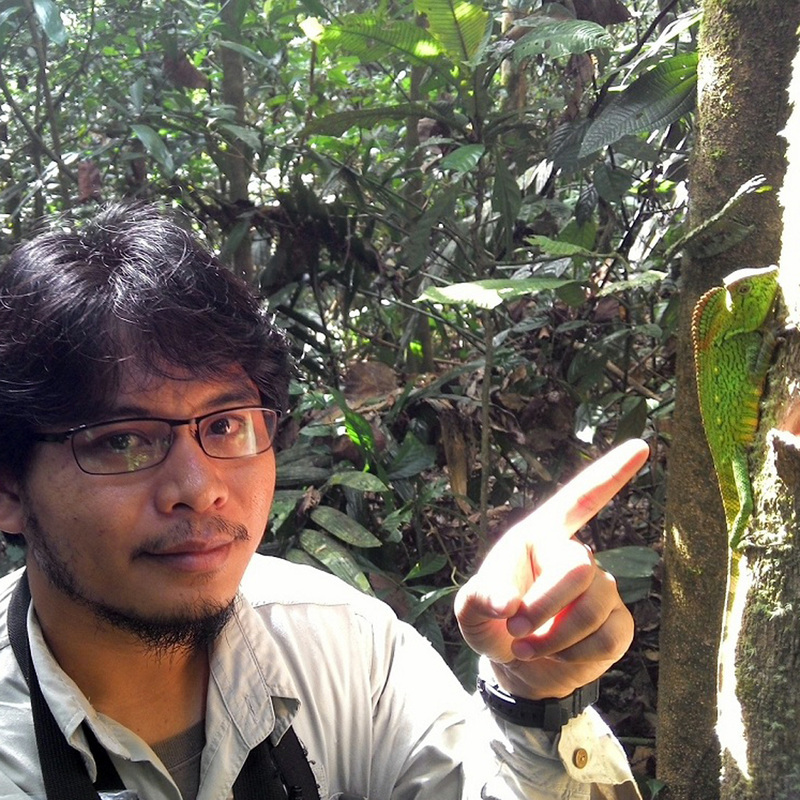 Together with his graduate students (25 between current and graduated), he enjoys field research in Thailand, Laos, Cambodia, Vietnam, Myanmar, and Bangladesh and recently began a long-term cooperation with colleagues in Belgium, UK, Norway and in Brazil, comparing differences in primate seed dispersal and social structure between Southeast Asia and the Neotropics. While not working he enjoys spending time with his kids, cooking and reading. ​Prof. Savini is currently accepting graduate students. Dusit was born in the "Land of Durian". 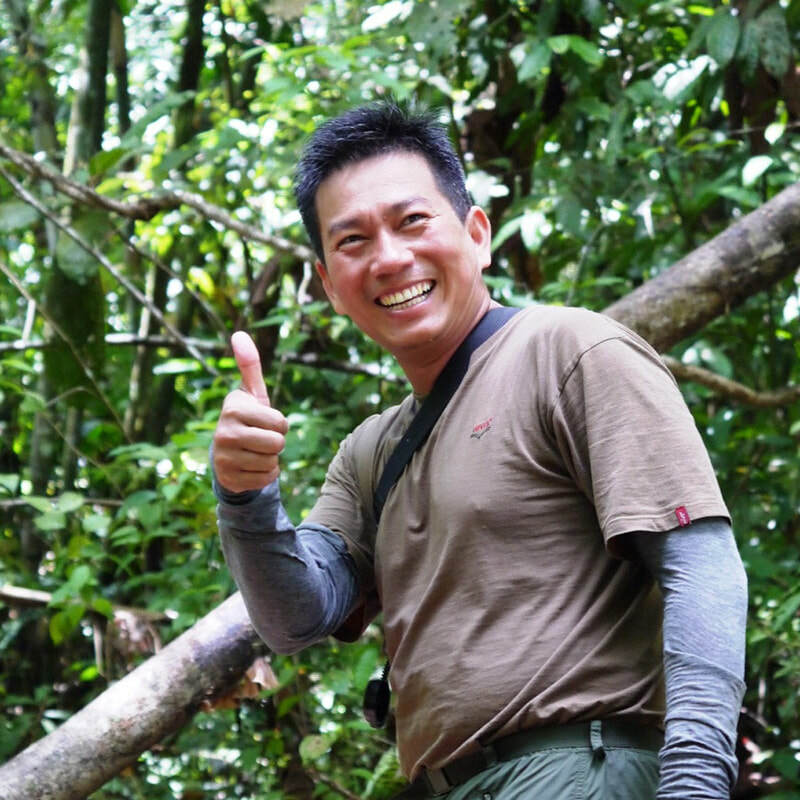 He became involved in large mammal monitoring in 2001 as a field assistant in Khao Yai National Park. Now a PhD and indispensable member of the lab, his interests include a range of questions related to conservation ecology. Most of his research has focused on conservation of bears and several small carnivore species, including otters and Asia's various cat species. Carnivores live at the top of the food chain and are thus under serious pressure, but little is known about them. 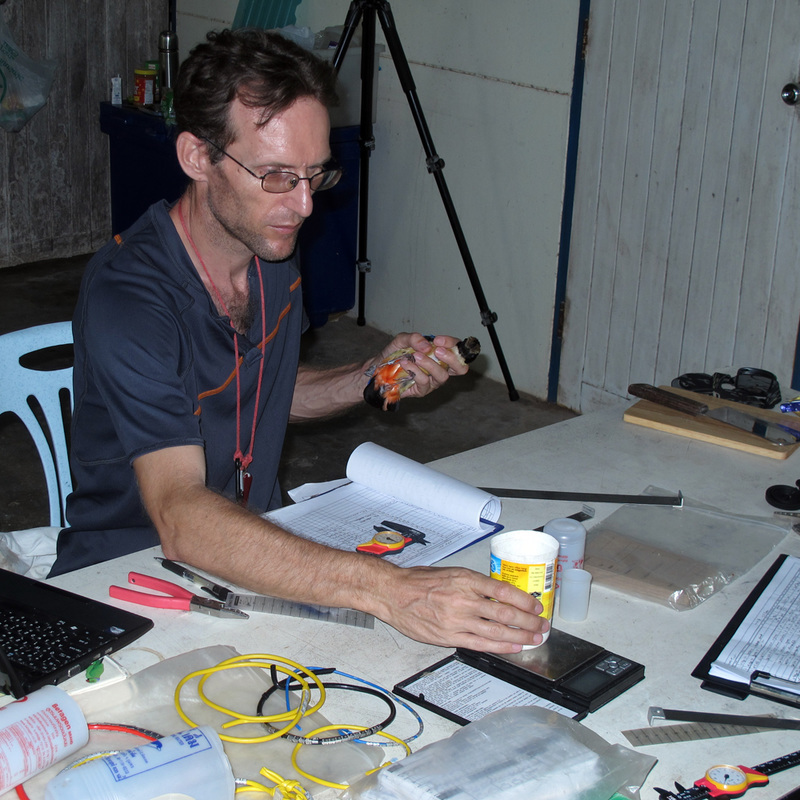 Dusit is a member of the IUCN Bear Specialist Group and works extensively with a number of technical collaborators. He conducts field research and teaches a method course. In addition, Dusit assists students/collaborators to deploy appropriate methodologies and undertake data analysis for population estimation, distribution models, and habitat connectivity, using advanced computational techniques that are still relatively new to the region. A key focus is thus to capacitate regional researchers and graduate students in the quantitative skillsets required to perform data analysis for effective conservation action. Dusit is currently accepting graduate students. Pai believes that good scientific research starts with asking good questions, then analysing and interpreting data from well-designed studies and refined methodology. Advances in genomics and spatial statistics open up an exciting era of possibility that facilitates the emerging field of conservation genetics. Pai’s PhD work focused on the phylogeography and landscape genetics of large mammals with tiger (Panthera tigris) and Asian elephant (Elephas maximus) as case studies. She is an advocate for using integrated ecological and genetic monitoring to better understand wildlife population dynamics at both evolutionary and recent timescales. Pai wants to assist her students to become determined and passionate learners. 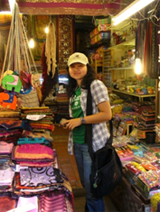 She enjoys balancing the lab and field work as well as meeting people from diverse cultures and backgrounds. In her free time, Pai loves capturing the moments through the lens, watching documentaries, biking and baking. For the past several years, Wanlop has explored the basic ecology of small mammalian carnivores in protected areas by looking at how resource and species interactions (e.g. predation risk) affect spatial and temporal habitat use. 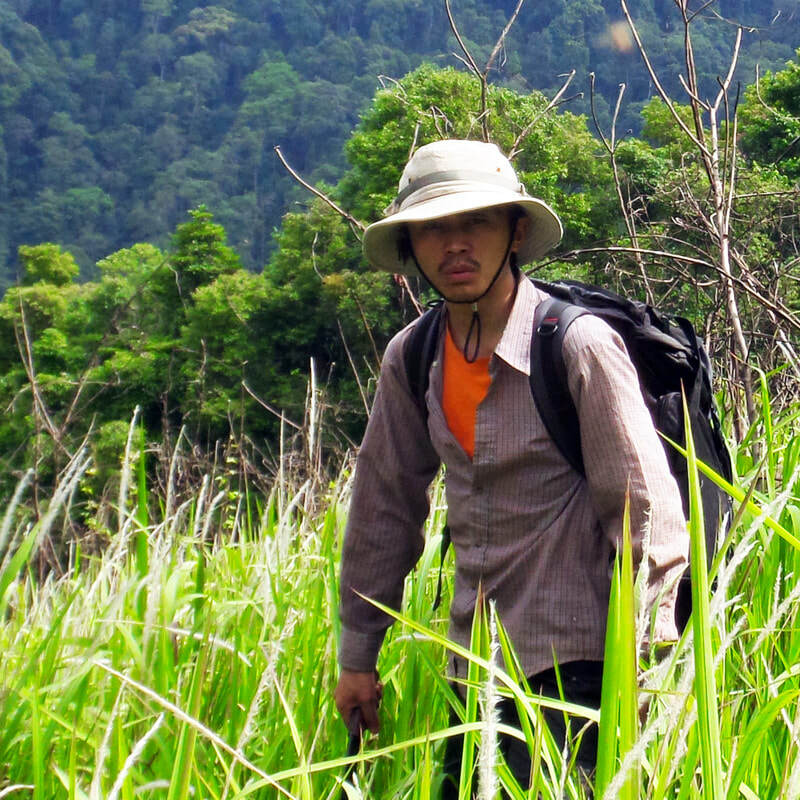 He is now turning his focus beyond the thin line separating protected and non protected areas, exploring the occupancy status and threats of threatened small carnivores in coastal and wetland habitats of southern Thailand - a landscape undergoing rapid anthropogenic transformation. Focus species include vulnerable Small-clawed Otter (Aonyx cinereus) and Smooth-coated Otter (Lutrogale perspicillata) and the endangered Fishing Cat (Prionailurus viverrinus). Come visit the Facebook group "Small Carnivore Conservation Thailand." Andrew assists MSc and PhD students with their fieldwork and manuscript preparation. 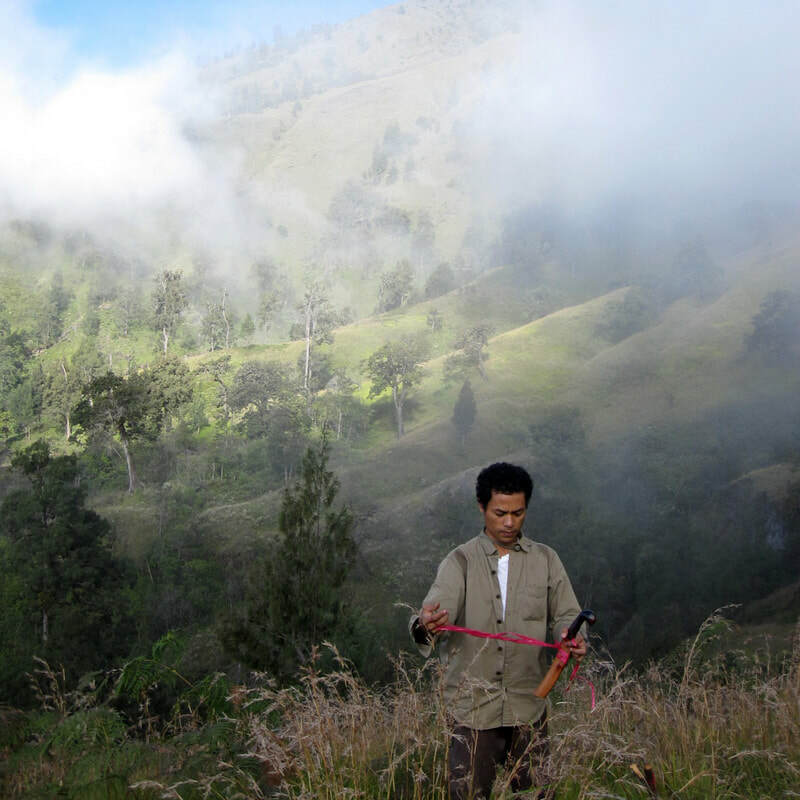 He coordinates a study of nest predation at Sakaerat Biosphere Reserve. As a licensed bird ringer he is involved in several projects at sites around the country as well as travelling regionally to assist training local ringers. 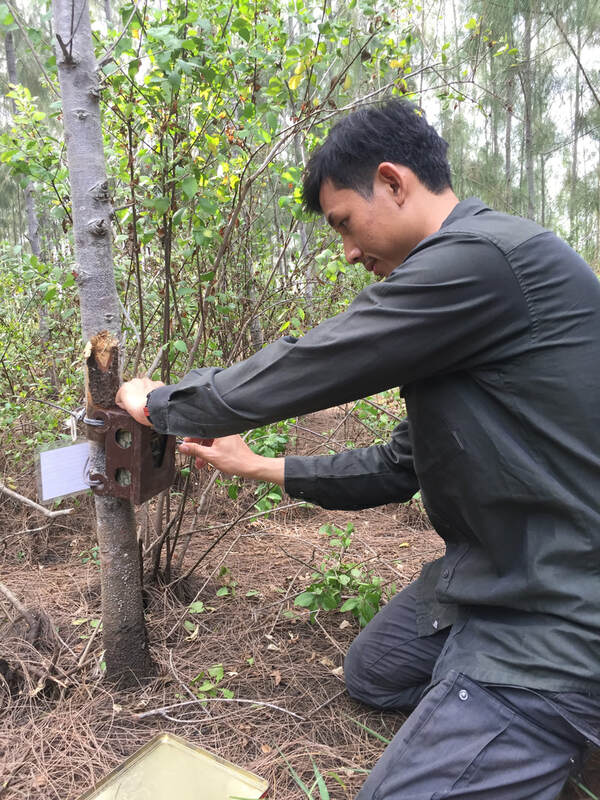 He is a leading member of a team studying raptors migrating through Thailand that is about to enter an exciting phase with the use of Satellite tags. Andrew travelled extensively before settling in Thailand in 2001. He likes to photograph birds and other wildlife, read classics and travel writing. 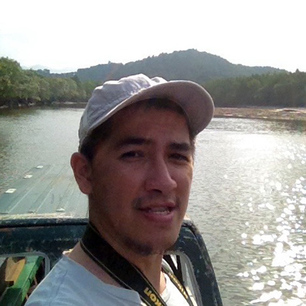 Jib started in the CEG lab in 2005 as research assistant working on a project focusing on the diversity and population dynamics of forest birds in Khao Yai National Park, Thailand. 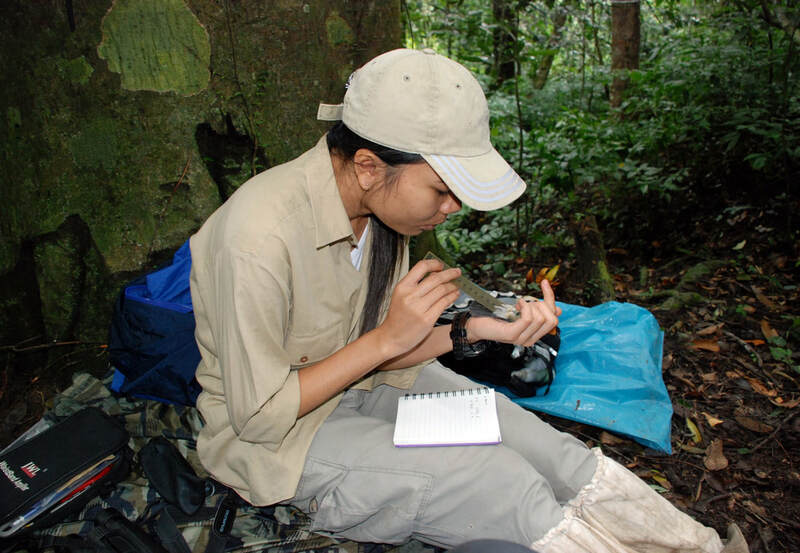 Her PhD work focused on the effects of forest edge on avian communities, nest survival, and the nest predator community - speaking of which, nest predators such as snakes and macaques really love dining on bird eggs and chicks!! After sitting in front of the computer for a couple years, finally she found an interesting research topic that would take here back to the wild again! Jib is currently working on a research project focuses on assessing the population and suitable habitat of the endangered Giant Nuthatch (Sitta magna). During her free time she enjoys watching movies, reading, cooking, playing sport, exploring and photographing small & cute creatures like caterpillars and bugs. And she loves cats! At first Juanma’s parents didn’t understand why their son travelled to distant lands to study primates; however, nowadays they realise that working in tropical forests invigorates him. Jungle life is never monotonous. Juanma is interested in ranging patterns and seed dispersal among primates as well and how human disturbance affects them within protected areas. In addition, he is studying the ecology and landscape spatial distribution of territorial gibbons living in inter-group contact zones. In his free time, Juanma likes to read and play sports. Although he used to spend at least half of his time in the forest, since his new little family member was born, Juanma’s “core area” has been more restricted to home and the lab. Niti's current research focuses on landscape ecology of Green Peafowl (Pavo muticus), an endangered species that once ranged across Southeast Asia. Research questions include peafowl ecology, landscape conservation, and association with other species in shared habitat. Although his work to date has largely focused on galliformes, Niti is also interested in other lifeforms. He spends most of the time in the field but always seems to spend too much time in the office dealing with data analysis and write-up. Niti's focus on landscape-level ecology allows him to travel abroad (e.g. Vietnam, Cambodia, Myanmar, and eventually also Indonesia). During his free time, Niti enjoys birding, horticulture, raising chickens and fish, drawing, reading, watching movies, listening to music, running, cycling, perfecting his signature dish "Thai Scrambled Eggs Flambé", and imbibing British ales. Lew decided to join the conservation ecology lab after earning her BSc in microbiology. She decided that it would be more fun to work with organisms larger bacteria, virus and fungi. She did her fieldwork on White-rumped Shama (Copsychus malabaricus) nest site selection in a fragmented habitat. Currently she is the full time office manager assisting lecturer, researchers and students with mountain of paperwork. 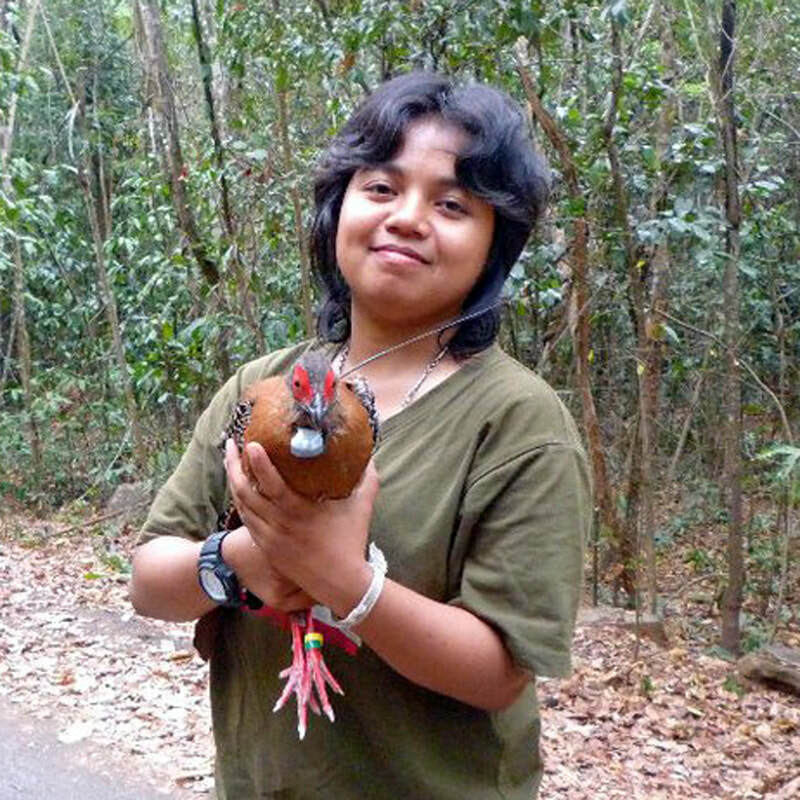 Tiwa's master's research involved use of radiotelemetry to study home ranges of Scaly-breasted Partridge (Arborophila chloropus) in Khao Yai National Park. 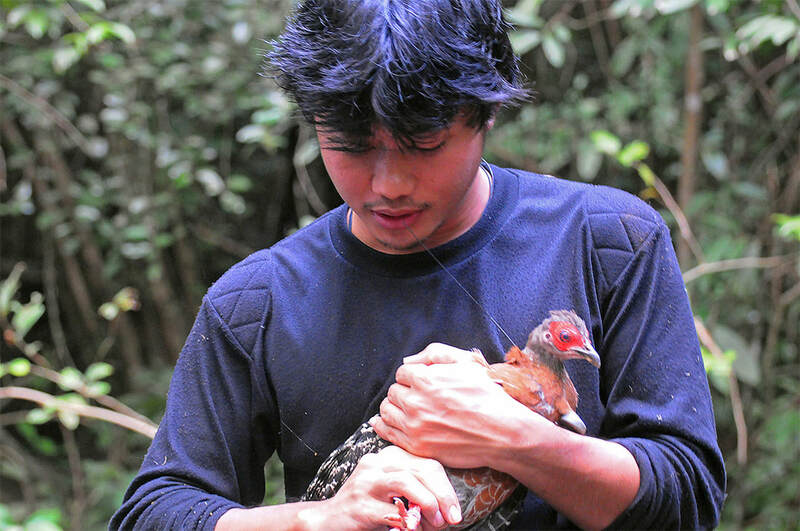 Since then, he has been working on a project that could assist the IUCN Galliforme Specialist Group through monitoring the conservation status of the five species of partridges inhabiting forests of southern Peninsular Thailand. 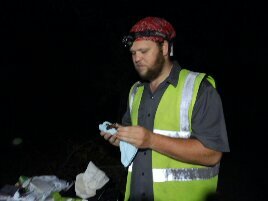 He has been in the field often of late conducting point counts and line transects in protected areas across the south. These partridges are under extreme pressure due to lowland forest loss, hunting, and capture for wildlife trade. Tiwa is a keen birder, photographer, and observer of nature, frequently contributing his observations to vertebrate expert groups. His photos of local birds are currently exhibited on posters across the university campus. Xing is studying the migration and winter ecology of Spotted Greenshank (Tringa guttifer), an endangered shorebird of the East Asian—Australasian Flyway. Much of her work includes satellite tracking, habitat investigation, behaviour observation, and macrobenthic sampling. Although her current work mainly focuses on wildlife, Xing is also interested in Buddhism and meditation. In her free time, she enjoys in volunteering and participating in meditation training at the monastery. 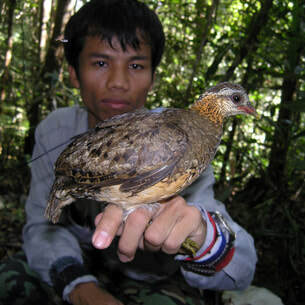 Sophea is studying the ecology and conservation status of Chestnut-headed Partridge (Arborophila cambodiana) and its ecological association with Green-legged Partridge (Arborophila chloropus) in the Cardamom and Elephant Mountains of southwestern Cambodia. 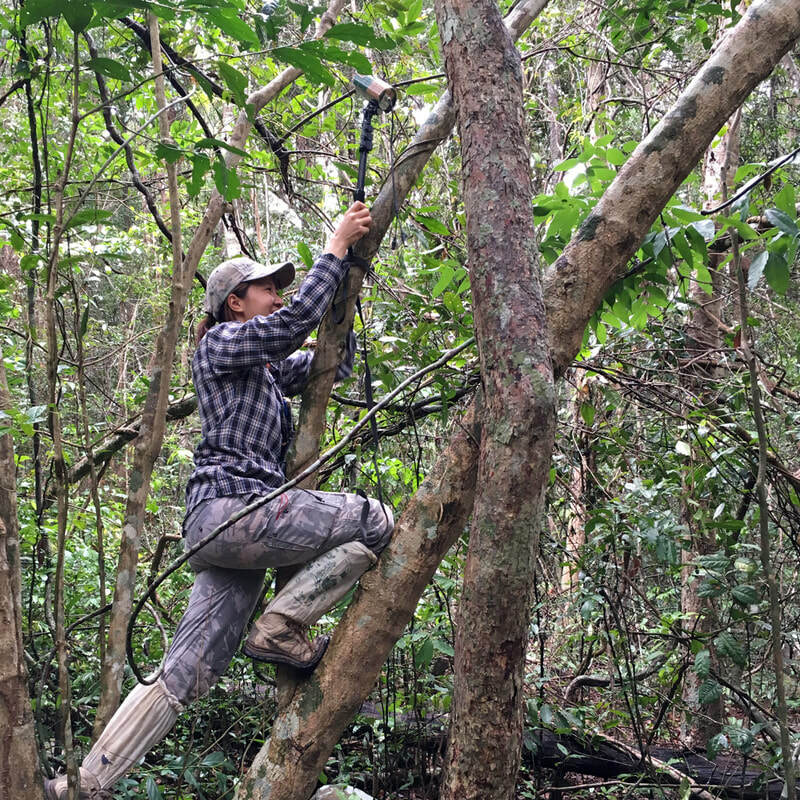 Inês Silva completed her Master's degree from the University of Lisbon, where she focused on the vertical stratification and the effect of forest fragmentation on bats in the Amazon Rainforest. 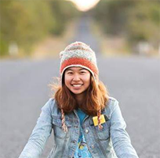 She decided to pursue her PhD at King Mongkut's University of Technology Thonburi, with a project focused on the road impacts on vertebrate communities in Northeastern Thailand, and on understanding indirect road effects on bat assemblages. 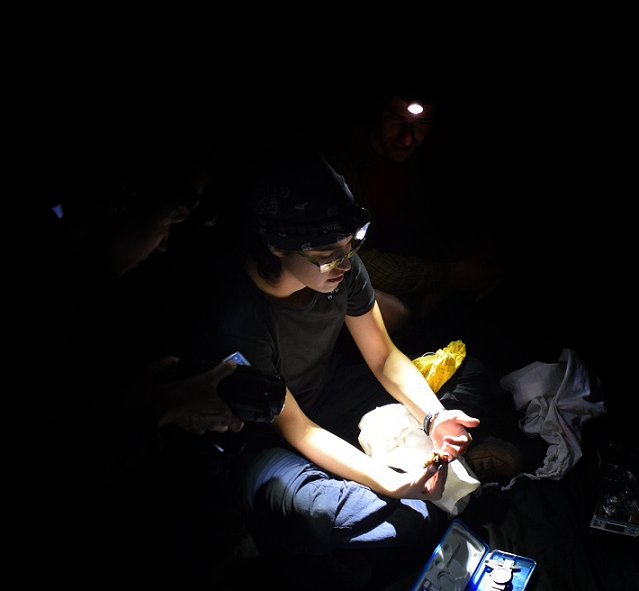 Thanks to funding from the National Geographic Young Explorers Grant, she has been able to help address knowledge gaps of Southeast Asian bats. While her focus is bats, she has worked with other taxonomic groups and prefers to take a broad approach to conservation. Inês is also interested in modeling movement patterns and home range analyses. Israt is studying the ecology and conservation of grassland birds of the Indo-Gangetic Plain, with a focus on investigating the seasonal movements of the Striated (Megalurus palustris) and globally vulnerable Bristled (Chaetornis striata) grassbirds in two sites in north-west Bangladesh. Her work includes tracking seasonal migration and non-breeding habitat preference on a macro-scale, observing breeding behaviour, and exploring micro-level habitat selection within breeding territories. Israt’s passion for birding started in 2008 when she became involved with the Bangladesh Bird Club. Since then, she has been an avid birder who has gained familiarity with Bangladesh’s avifauna, including vocalisations, and has joined several national bird surveys. Israt worked five years in bird conservation for the Forest Department, closely collaborating with several NGO partners. She is a qualified bird bander and is now leading her own ringing team in Bangladesh and is interested in avian morphometry and evolutionary genetics. She rarely passes up an opportunity to go birding! Kloy earned a bachelor’s degree in Biology. After she tried out several things, she found herself would rather stay in the field than immersed herself in the laboratory. So, she decided to start her Master’s degree at CEG immediately after graduated. Kloy is interested in canis species. 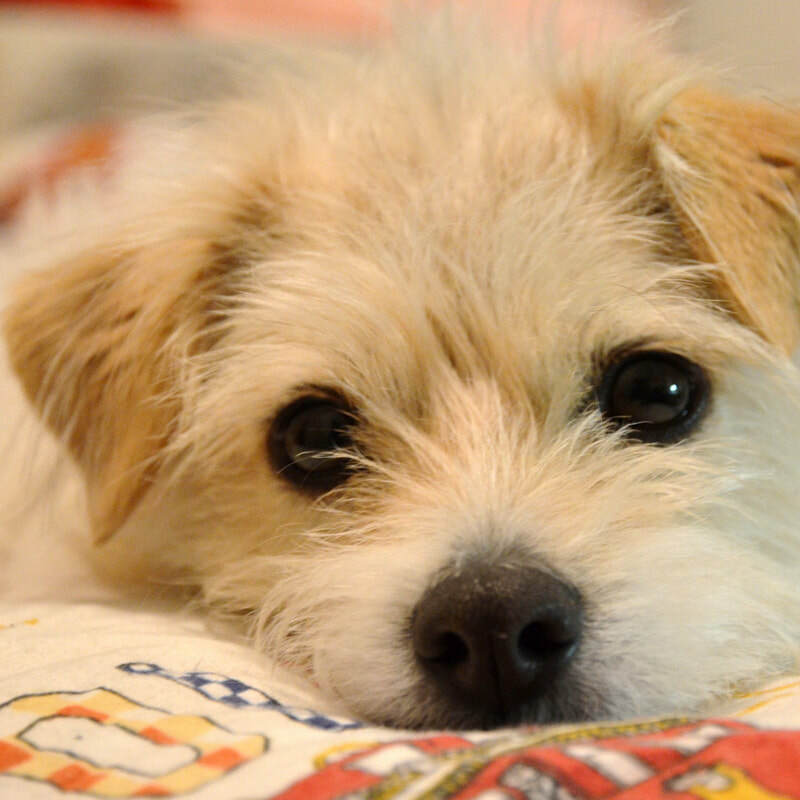 The major inspiration of her work comes from the adorable dogs of her family. 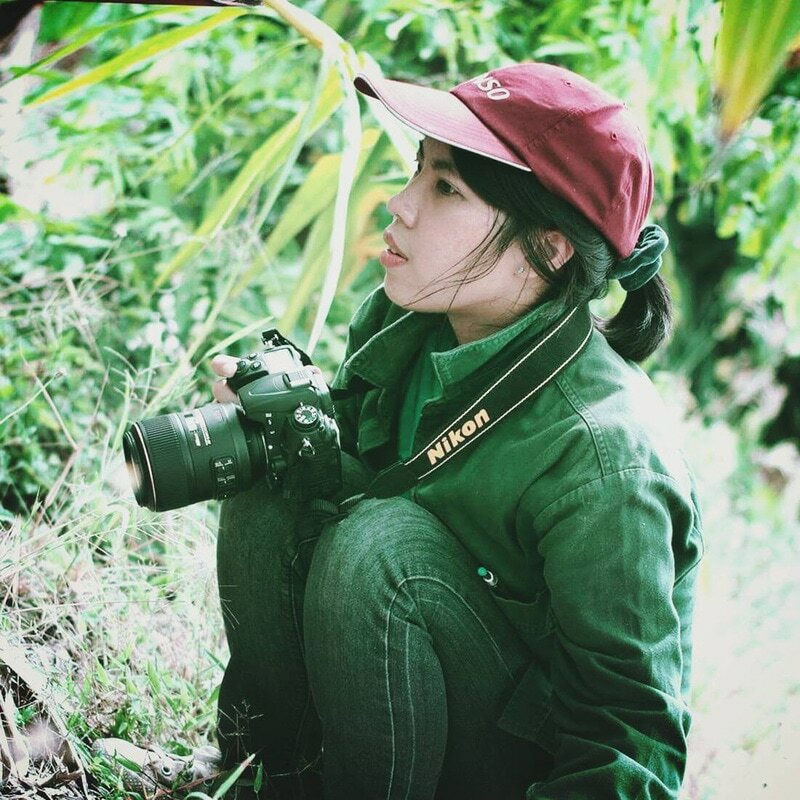 Recently, she studies abundance of dhole and prey availability in Thap Lan and Pang Sida National Park, spending most of the time in forest. This would be an opportunity for her to rehabilitate matcha addiction. 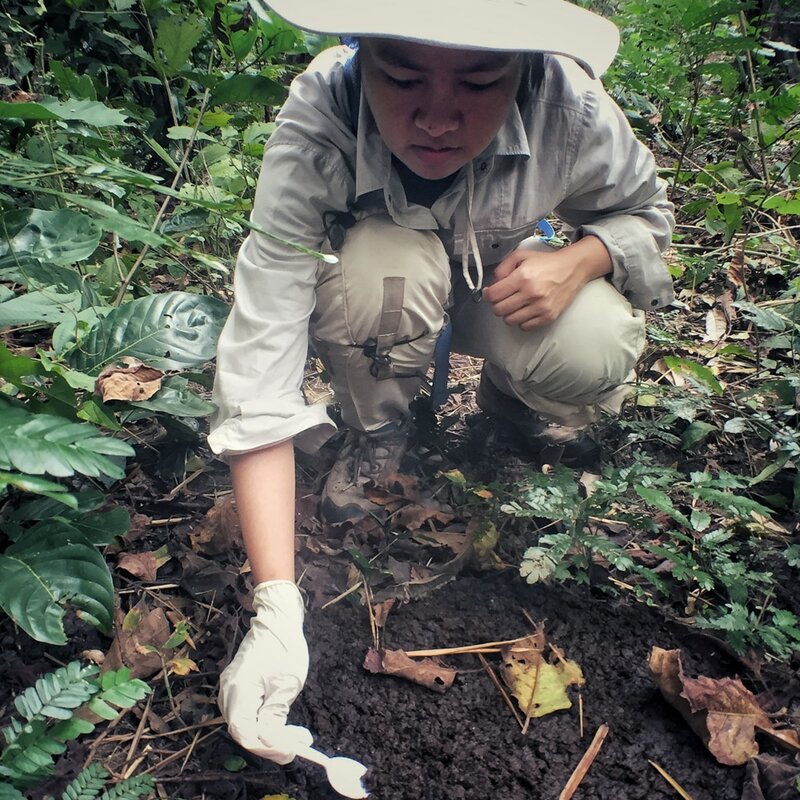 Tae started working as a research assistant in 2015, collecting field data on the Eurasian Wild Pig (Sus scrofa) at Sakaerat Environmental Research Station and vulnerable Malayan Sun Bear (Helarctos malaynus) and Asiatic Black Bear (Ursus thibetanus) at Khlong Saeng Wildlife Sanctuary. 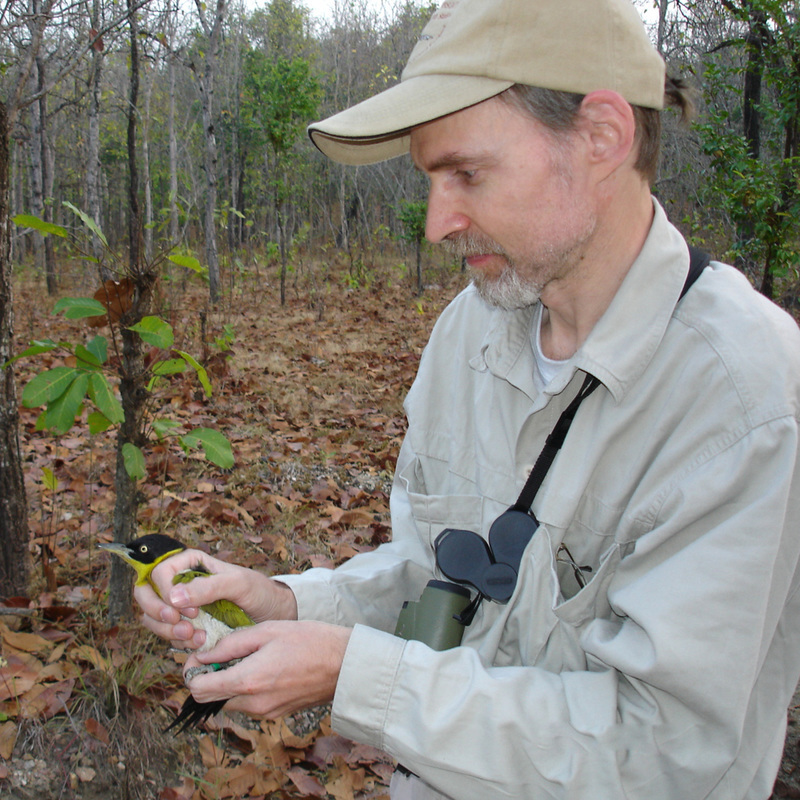 Much of his work has included setting up camera traps and hair-snares. At present, he is slogging through mangrove swamps in support of a study on the distribution of small carnivores in southern Thailand. This past year or so, while getting his feet "wet" [Editor's note: perhaps "muddy" is the more appropriate word], he has gained increased interest in exploring the home range and distribution of small carnivores, a data deficient group of species, and is considering pursuit of a MSc on related topic. In his spare time, Tae enjoys playing football and other sports. Mali is interested in lowland forest change at a regional scale and evaluation of protected areas effectiveness. Before joining the Conservation Ecology Program, she worked as an academic officer for Seub Nakhasathien Foundation, a conservation Thai NGO. Thus, she is interested in wildlife management and forest conservation. 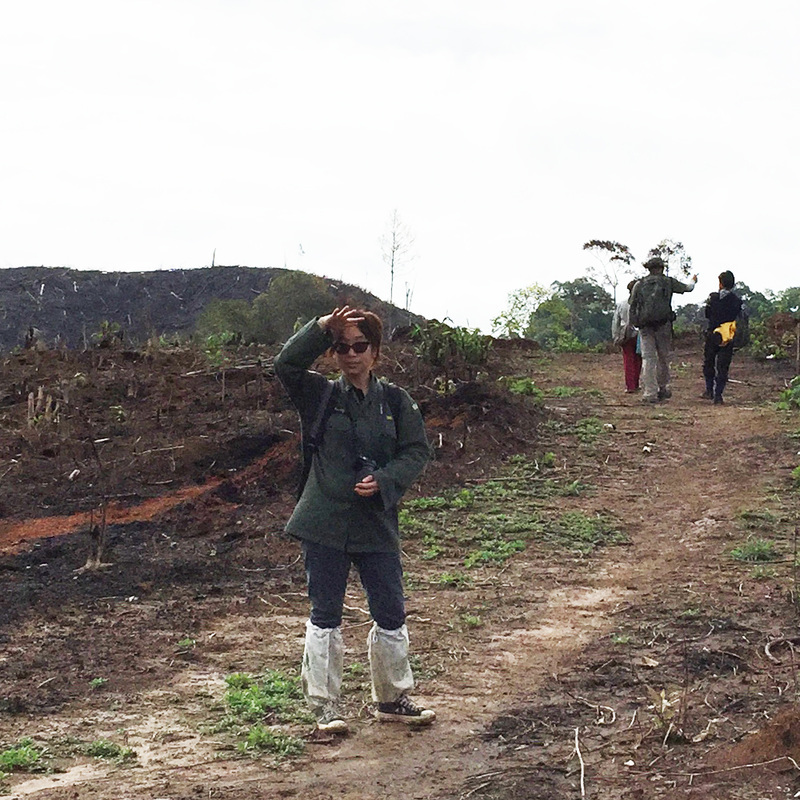 She has performed lowland forest maps and determined lowland forest loss in mainland Southeast Asia using Geographic Information Systems (GIS). She has also conducted evaluation of lowland forest protection both inside and outside protected areas using expert opinion. During her free time, Mali likes to watch movies and series. 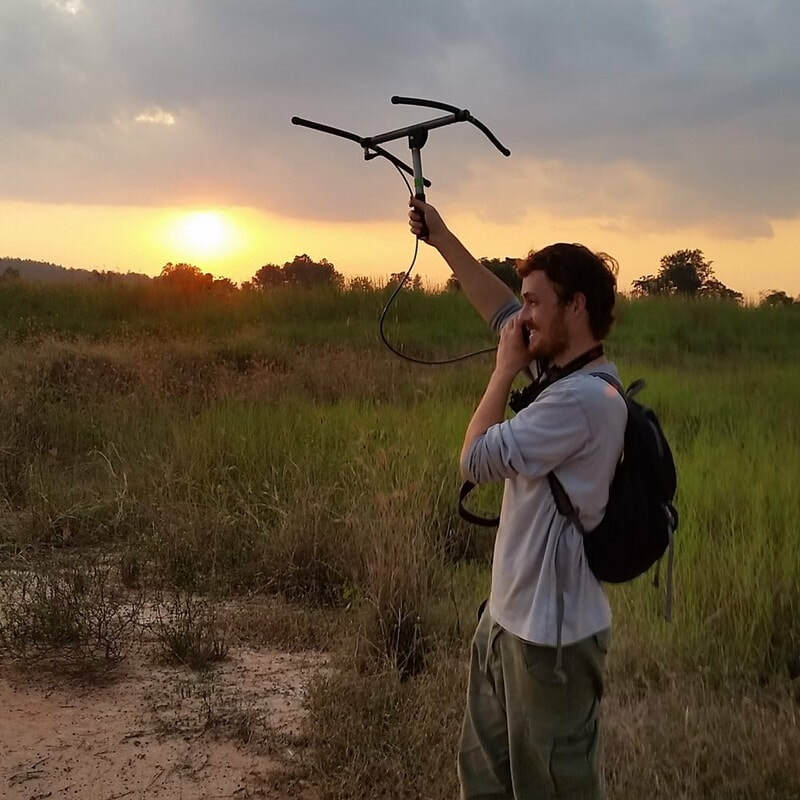 Matt is studying the ecological impacts of wind farm development on bat and bird communities across Southeast Asia. His research focus is to indetify key natural history species traits that predict higher vulnerability to wind turbine collision, map the potential high risk areas for wind development, and to test solutions to mitigate bat fatalities and wind farms. His project will seek to work closely with government agencies and wind power producers to support more ecologically friendly wind power development.He has a wide range of research interests and has worked on projects including venomous snake movement ecology, reptile and amphibian communities in degraded habitats, and road mortality across all vertebrate taxa. In his free time he enjoys watching movies, playing board games, and enjoying sports (particularly basketball and badminton). 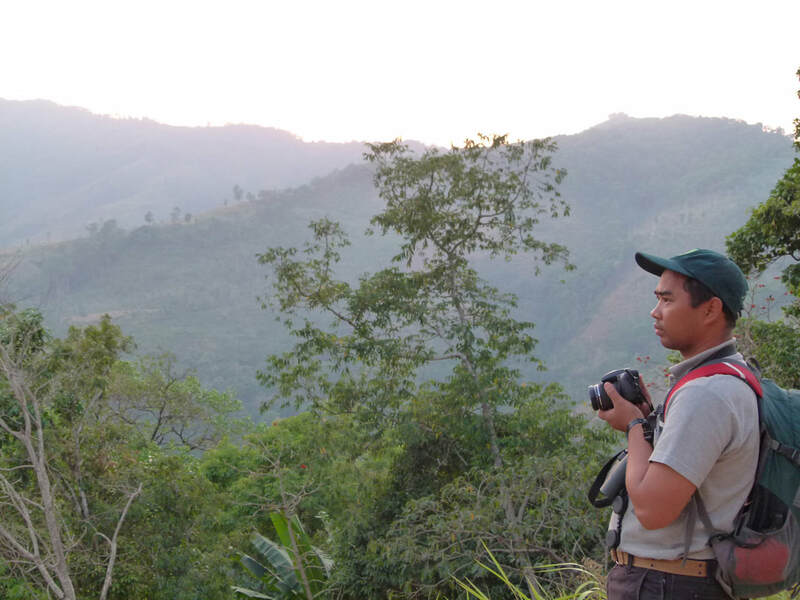 Nay Myo is studying response to habitat disturbance among several endangered avian species, including the Green Peafowl (Pavo muticus), Gurney's Pitta (Hydrornis gurneyi) and the Asian vultures. These species are particularly sensitive to habitat disturbance, yet in order to persist they must co-exist inside or near to human settlements. His interests are not limited to birds, but include other species as well - he is especially fond of the Malayan Tapir (Tapirus indicus). 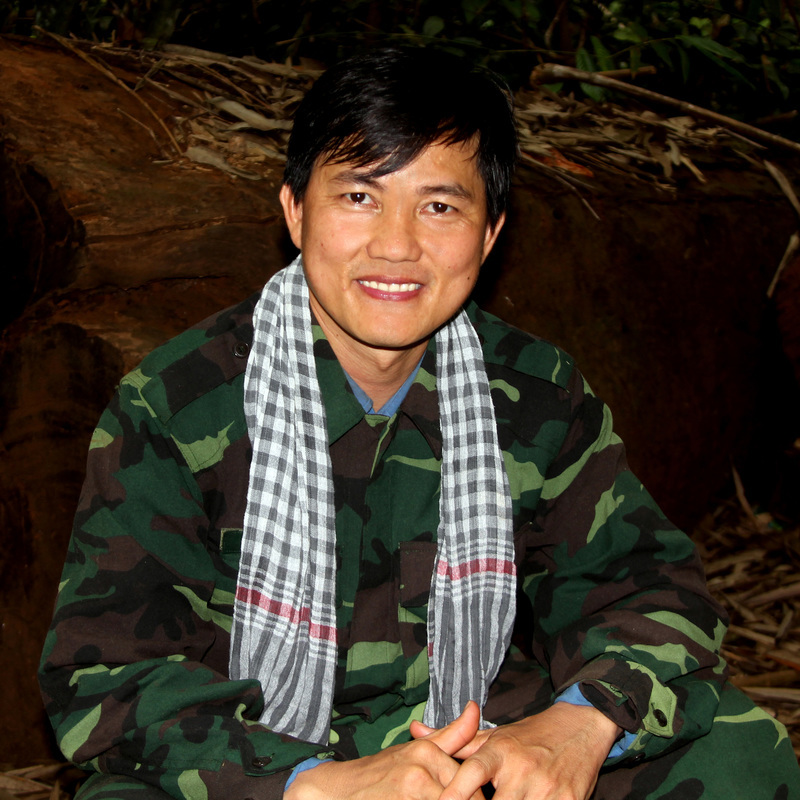 Nay Myo spends most of his time in Myanmar's forests for conservation work and birding. He's a keen sportsman who also enjoys playing guitar and reading in his spare time. 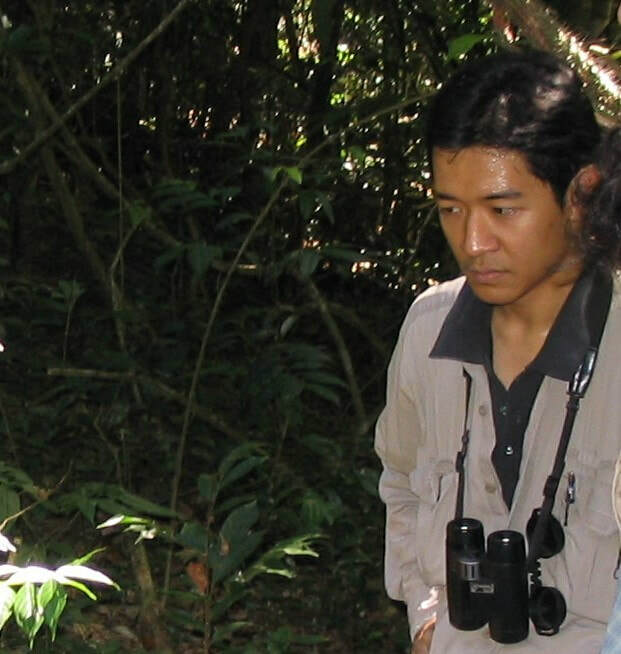 Ngwe began his conservation career in 2008 as Field Project Coordinator for the Hoolock Gibbon Conservation Status Review Project in Myanmar for Fauna and Flora International, Myanmar Programme. He and his team conducted hoolock gibbons population surveys in their distribution range in Myanmar for more than 2 years. 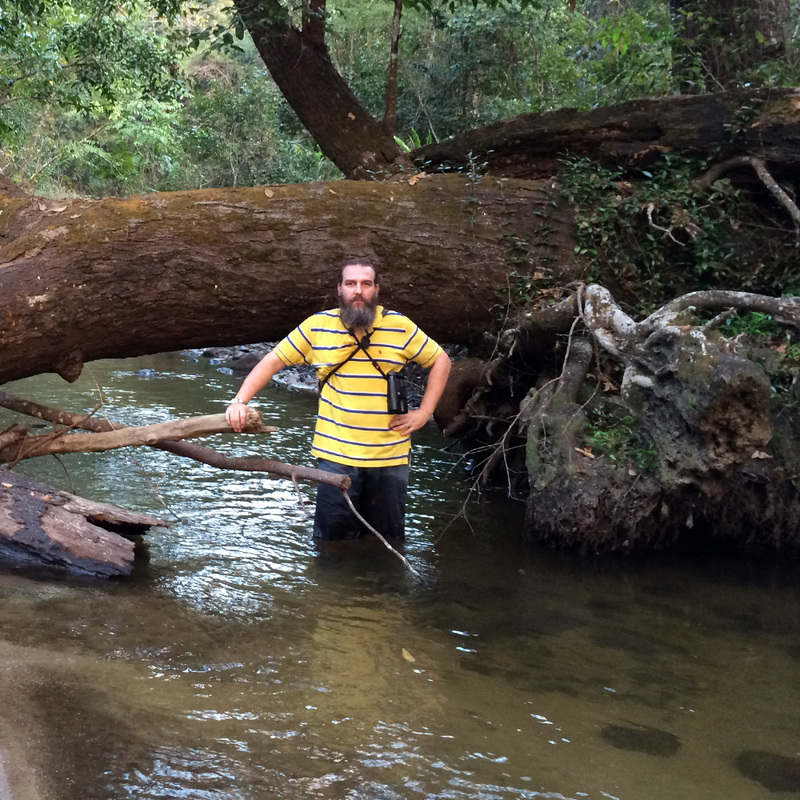 He is now studying the habitat preference of hoolock gibbons and Shortridge’s langur in Myanmar. Ngwe is interested in protected area management and community-based conservation. He likes bird watching and bird photography. Diana is interested in understanding plant community ecology, including how anthropogenic disturbance affects biodiversity maintenance. Her work focuses on forest succession after timber harvesting, particularly how different logging practices impact plant community assembly, which shapes local communities and leads to variation in the diversity and composition of species pools from phylogenetic (evolutionary process) and functional trait (ecological interaction) perspectives. 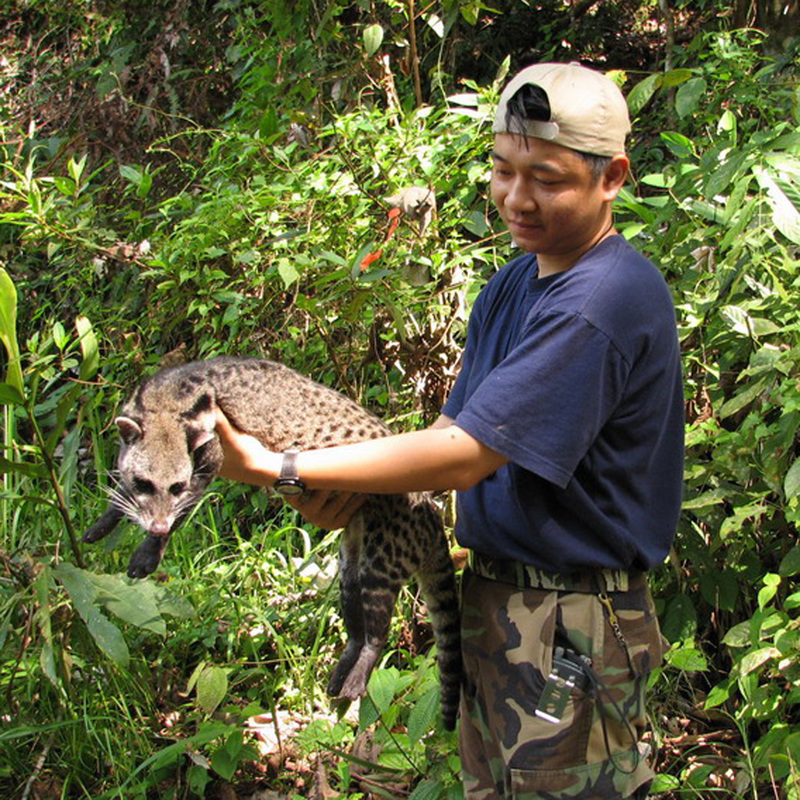 Channa is studying the ecology and conservation status of the vulnerable Large-spotted Civet (Viverra megaspila) in Cambodia. 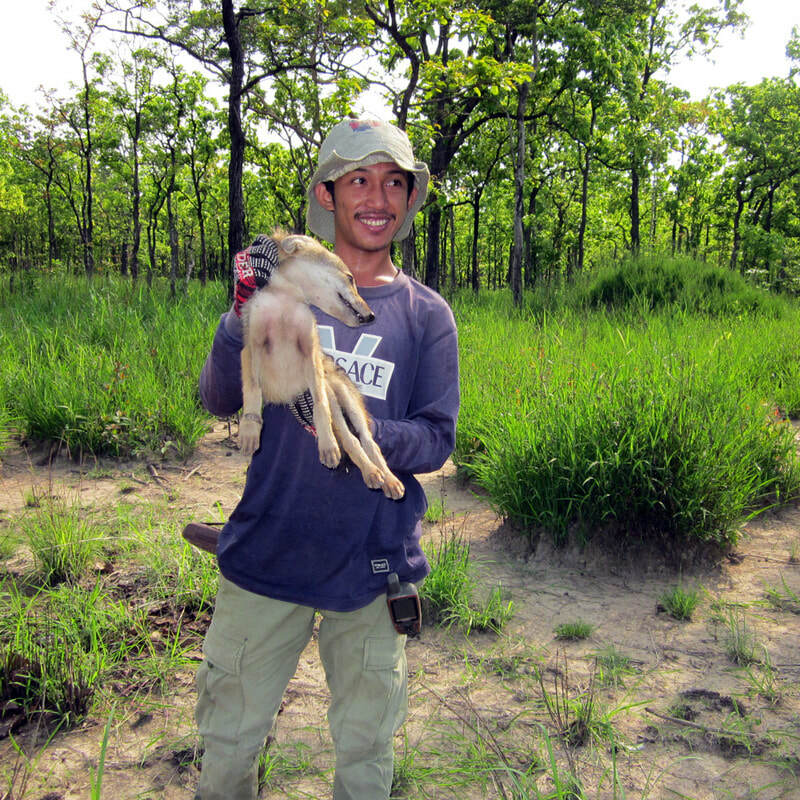 His research provides a broad understanding of the role of this species in interaction with sympatric small carnivores in order to improve species conservation both locally and internationally. A passionate birder, upon completing his BSc in environmental science Por began working as a field assistant in avian research projects. He is currently part of a fledgling survival project at Sakaerat Environmental Research Station. In his spare time, Por enjoys riding his motorcycle around Thailand to visit the national parks, watching crime and investigation series, and amazing his friends by dexterously snatching butterflies ** from mid-air ** using nothing but the tip of his nose! 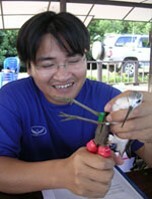 Rongrong (Fai) had for long time an interest in wildlife ecology and its conservation, especially birds. 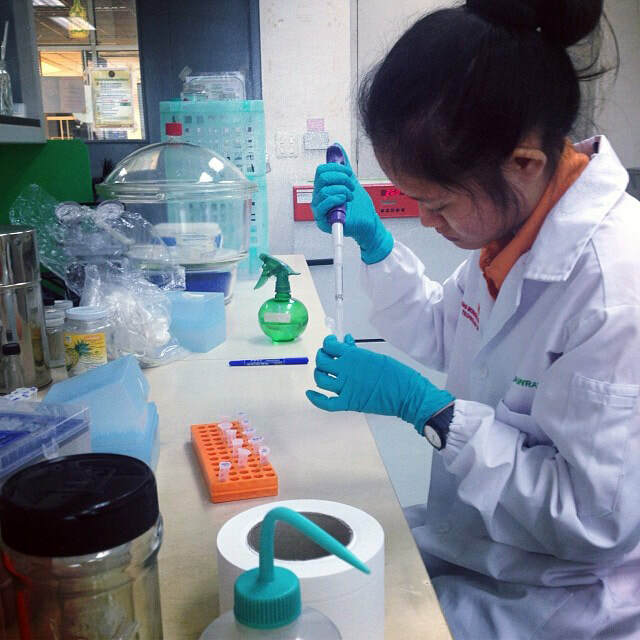 Thus, after graduating from Khon Kaen university, she worked as a research assistant at Sakaerat Environment Research Station, Thailand, under a project that monitored the nest survival and predator community in forest fragments and edges. 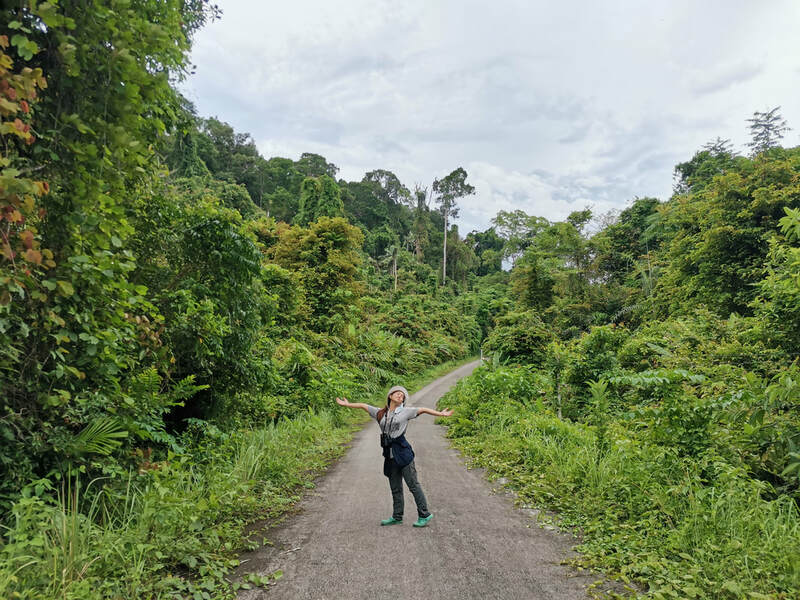 For several years, she has also volunteered to support research on passage migrants in southern Thailand and act as a field manager for the raptor migration counting there during October 2018. 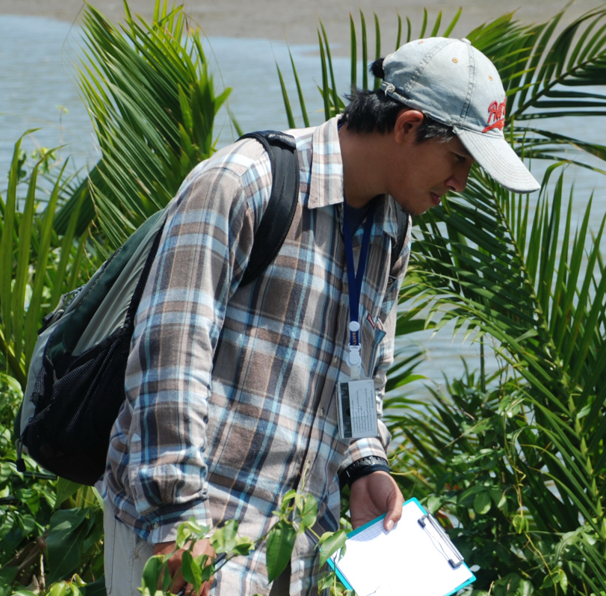 Fai enjoys conducting fieldwork and has gained a wealth of practical experience. 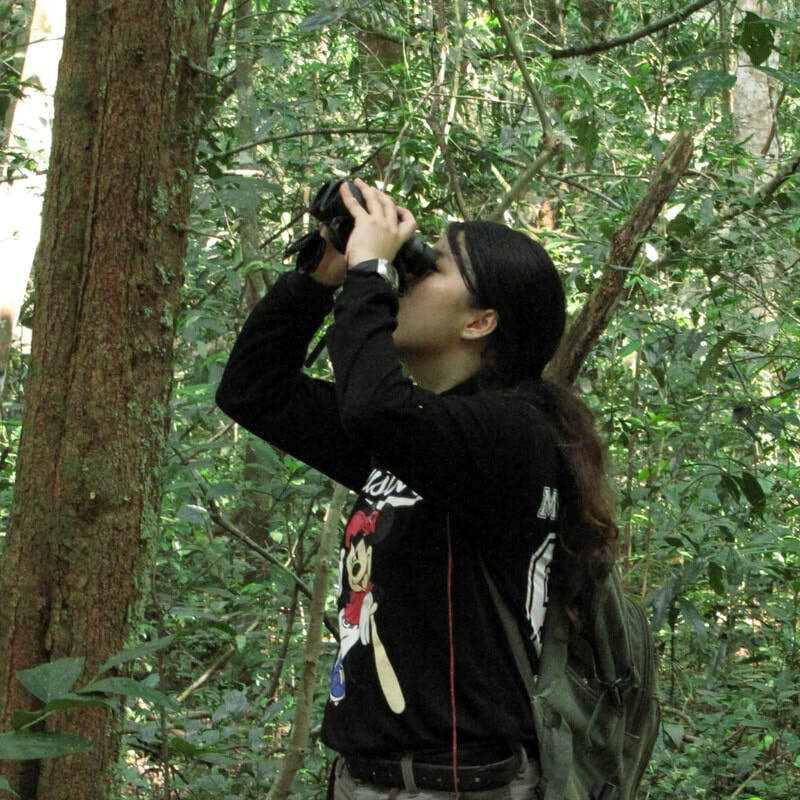 She has just finished her master's degree from our program, her thesis work focused on edge effects, habitat selection and post-fledgling survivorship of White-rumped Shama (Kittacincla malabarica), with the use of light-weight radio transmitters. 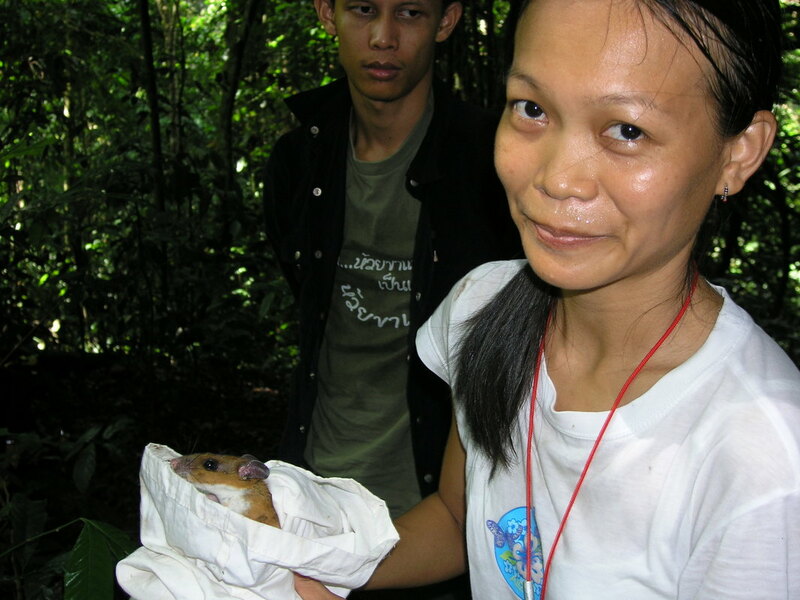 Currently, she is part of the long-term nesting survival project at Sakaerat Environmental Research Station and she is a research assistant in the assessment of the global population status of the endangered Giant Nuthatch (Sitta magna). During her free time, she likes to explore new places for bird watching. 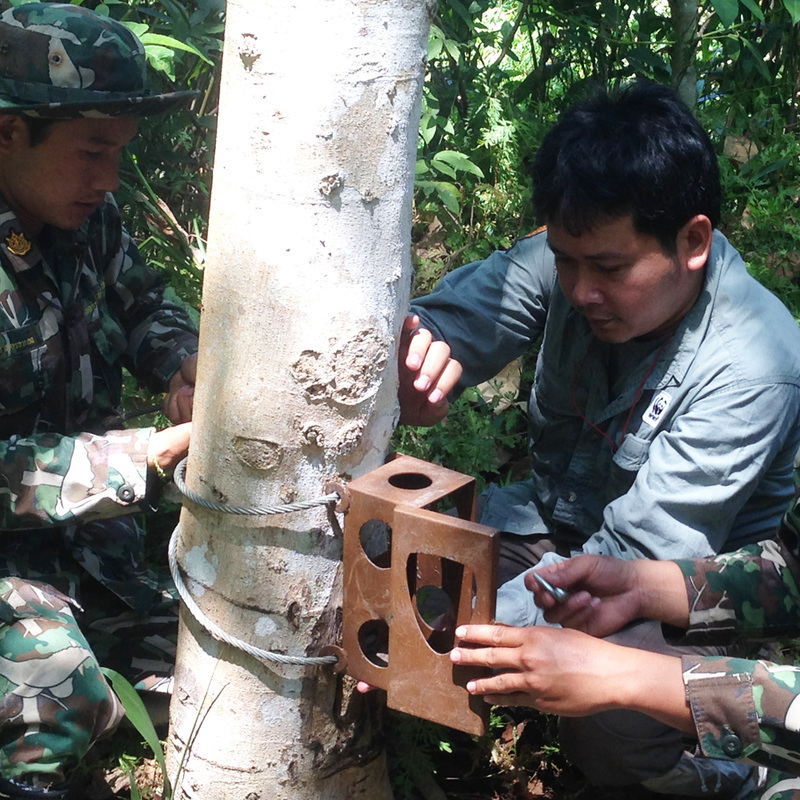 Thura is now studying the distribution of the Giant Nuthatch (Sitta magna) in Shan State, Myanmar. He is excited to study this species because there has been very limited published scientific research on this endangered habitat specialist. 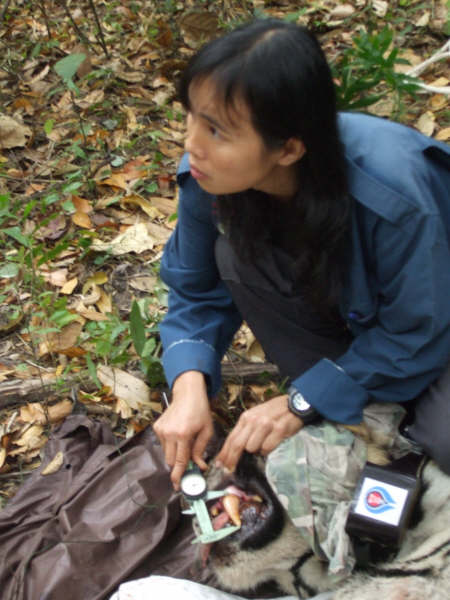 Before joining the Conservation Ecology Program, Thura worked as a Range Officer for the Myanmar Forest Department. He is interested in wildlife management and forest conservation, but in his free time he also enjoys watching movies and reading novels. 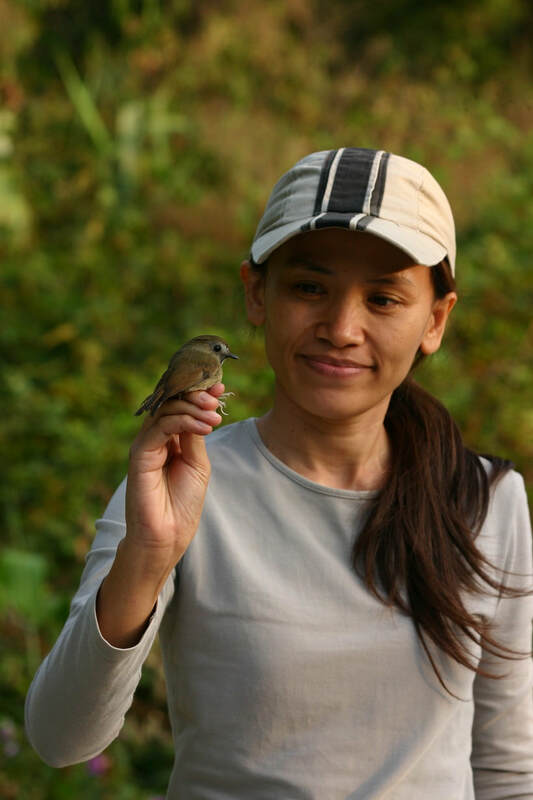 Vattikorn is studying the ecology of the Java Sparrow (Lonchura oryzivora), an introduced species that has been thriving for several decades in very localised pockets around Bangkok. He is an avid birder who is also fascinated by other vertebrates, particularly snakes. 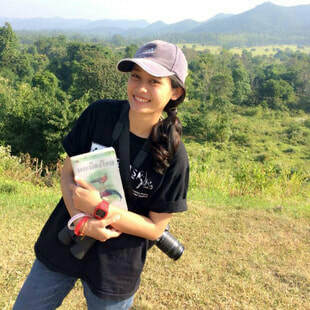 Vattikorn frequently engages in community outreach and has been volunteering with the Bird Conservation Society of Thailand (BCST) for over six years. 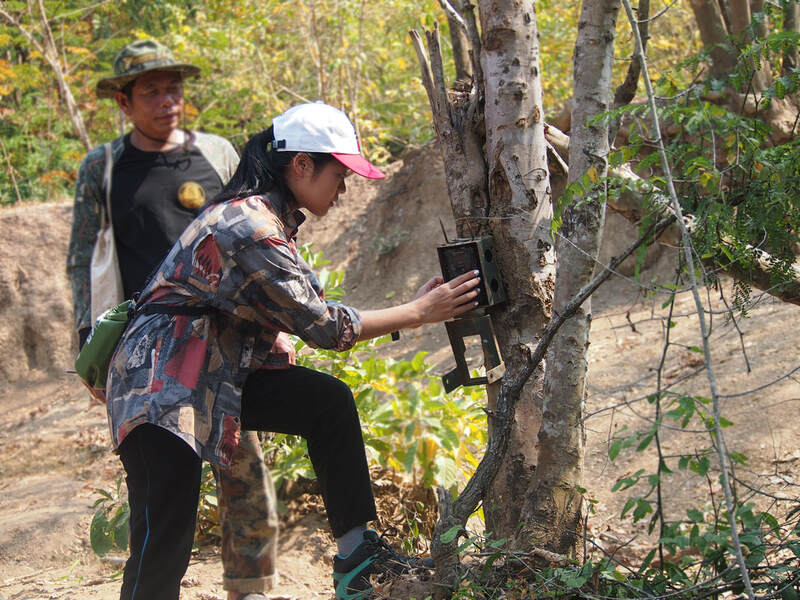 Worrapan works with long-term monitoring of large carnivores in Mae Wong and Khlong Lan National Parks, located in the Western Forest Complex of Thailand. The team is exploring diet, habitat utilisation, and demography of large carnivores as well as interaction with prey species. His hobbies are bat surveying, reading cartoons, and birdwatching. Thesis title: Investigating factors associated with the spatial distribution of tiger abundance across the Bangladesh Sundarbans. Thesis title: Compliance and enforcement mechanism for preventing wildlife crime in Bangladesh. Thesis title: Home range of female tiger (Panthera tigris) in relation to prey abundance in Huai Kha Khaeng Wildlife Sanctuary, Uthai Thani province. Thesis title: Local and landscape effects on otter (Mustelidae) occupancy in the inner gulf of Thailand. Thesis title: Distribution and abundance of Hume’s pheasant in Thailand. 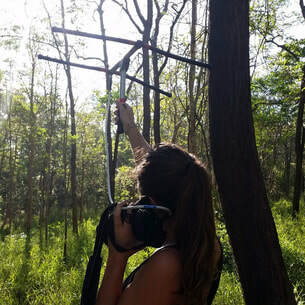 Thesis title: Survey of large and medium-sized mammals in likely Saola habitat by camera trapping in Xaichamphone, Lao PDR. Thesis title: Seed predation by rodents on seeds dispersed by two groups of gibbons (Hylobates lar) with effects of forest type in HuaiKhaKhaeng Wildlife Sanctuary, Western Thailand. Thesis title: Movement pattern, seed dispersal and tree-fall gap use by a forest interior frugivore: Puff-throated bulbul (Alophoxius pallidus). Thesis title: The effects of forest fragmentation on bird community, nest survival and nest predator community. Thesis title: Effect of roads, selected environmental variables and human disturbance on Asiatic leopard (Panthera pardus) in Kaeng Krachan National Park. Thesis title: Habitat selection and density estimation of sympatric Asiatic black bears (Ursus thibetanus) and Malayan sun bears (Ursus malayanus) in evergreen forest. Thesis title: Post fledging survival and juvenile dispersal in Abbott’s babbler (Malacocincla abbotti) in Khao Yai National Park. Thesis title: Effects of human disturbance and habitat type on distribution and detectability of Nycticebus bengalensis (Bengal slow loris) at Sakaerat Biosphere Reserve. Thesis title: Population density and identifying priority areas for conservation of critically endangered gibbon (Nomascus leucogenys) in Nam Et-Phou Louey National Protected Area, Lao PDR. Thesis title: Nesting habitat selection of Abbot’s Babbler (Malacocincla abbotti) in Mo Singto, Khao Yai National Park. Thesis title: Density estimate and habitat use by Bengal slow loris (Nycticebus bengalensis). Thesis title: Systematic conservation planning in Thailand and Indo-Burma Biodiversity Hotspot. Thesis title: Temporal changes in habitat use by avifauna in seasonally dry tropical forest. Thesis title: Cavity-nest availability and community use in Huai Kha Khaeng Wildlife Sanctuary, Thailand. 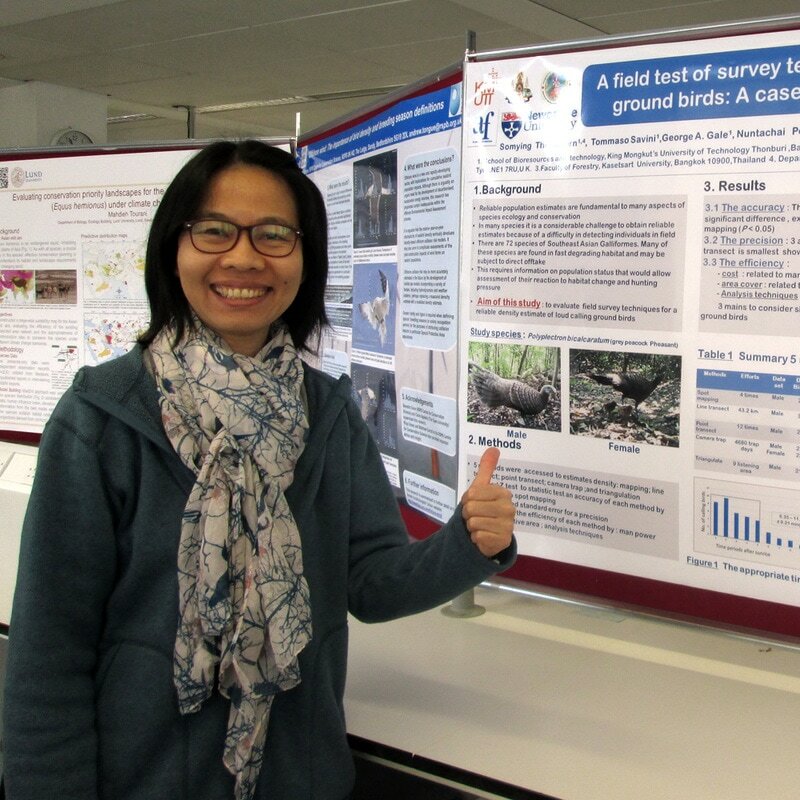 Thesis title: Habitat use and home range analysis of Siamese fireback (Lophura diardi) and Silver pheasant (L. nycthemera) in sub-montane forest, Khao Yai National Park, Thailand. Thesis title: Ecology and landscape conservation of green peafowl (Pavo muticus). Thesis title: Effects of habitat quality on the number of alloparents and subsequent nesting success in a cooperatively breeding tropical passerine, Puff throated bulbul (Alophoixus pallidus). 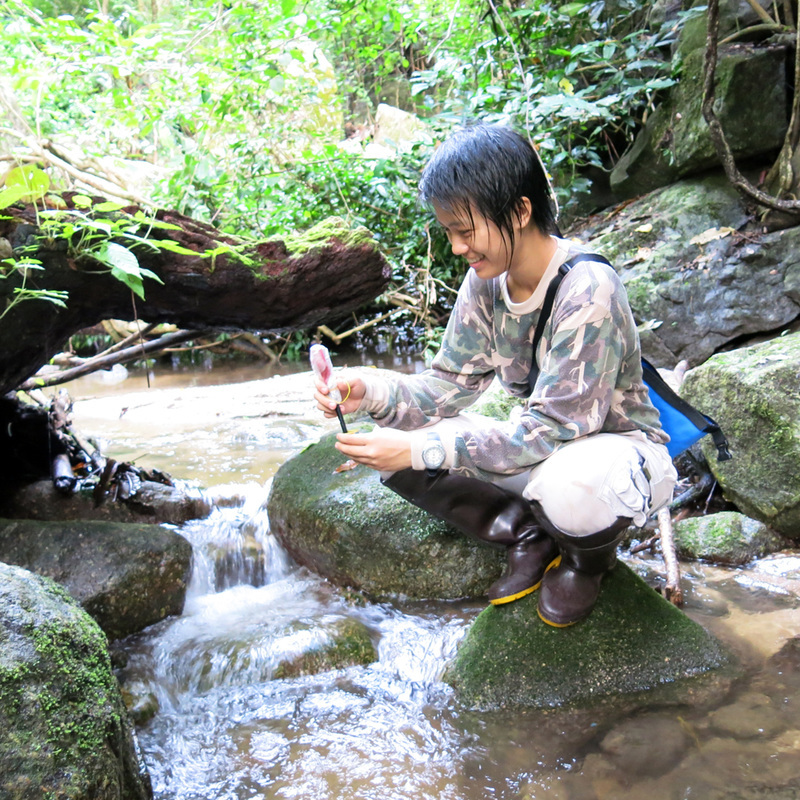 Thesis title: The effects of elevation and other environmental factors on patterns of anuran species richness and abundance in Huai Chang Tai stream at the Huai Kha Khaeng Wildlife Sanctuary, Thailand. Thesis title: Influencing of crop type along land-use intensity gradient on bee communities in suburban area. Thesis title: Effect of local and landscape environment on seed dispersal by birds in regenerating forest. Thesis title: Density estimation, habitat use, and ranging patterns of Pileated Gibbons (Hylobates pileatus) in lowland evergreen forest, Thailand. Thesis title: Effect of Habitat Fragmentation on the Genetic Diversity of Asiatic Black Bear (Ursus thibetanus) in Khao Yai National Park and Thap Lan National Park. 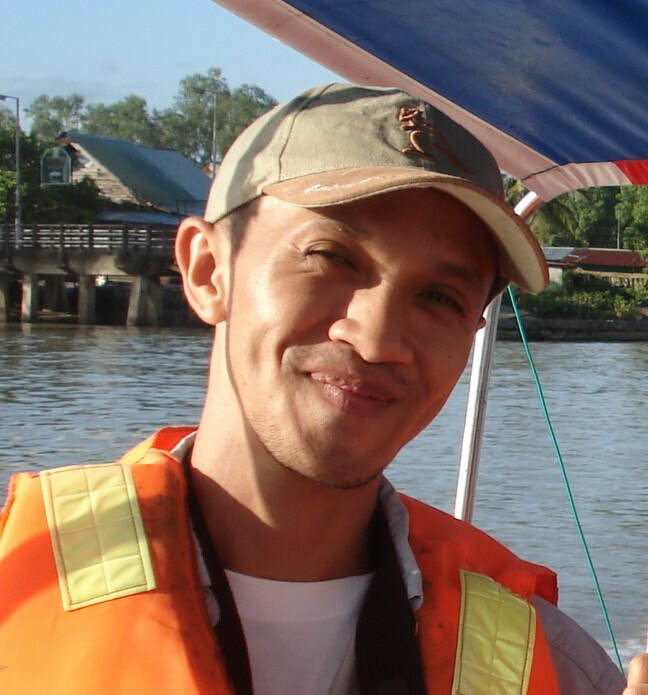 Thesis title: Effects on landscape characteristics on migratory shorebirds communities in the Inner Gulf of Thailand. Thesis title: Effect of food supply on foraging patterns and weights of wintering shorebirds on a managed wetland in the Inner Gulf of Thailand. Thesis title: Ecology and landscape conservation of gray peacock-pheasant. Thesis title: Evaluating whether conservation campaign interventions change community attitudes towards biodiversity conservation in the Nam Kading National Protected Area, Lao PDR. Thesis title: Seed dispersal by gibbons in Hui Kha Khaeng Wildlife Sancruary. Thesis title: A comparative study of diet of great hornbill (Buceros bicornis) and rhinoceros hornbill (Buceros rhinoceros) during the breeding season on Budo Sungai Padi National Park, southern Thailand. Thesis title: Influence of surrounding vegetation on White-rumped shama (Copsychus malabaricus) nest tree selection and nesting success in a dry evergreen forest of north-eastern Thailand. Thesis title: The long term variation of abundance and micro-habitat selection of Great Argus (Argusianus argus) in the rainforest of Southern Thailand. Thesis title: Study of home range, nest- and roost-site selection by Scaly-breasted partridge (Arborophyla chloropus) in Khao Yai National Park. Thesis title: Ecology of galliformes species geographically limited to South Vietnam. Thesis title: Survival and nest dispersal in cooperative breeding puff-throated bulbul (Alophoixus pallidus). 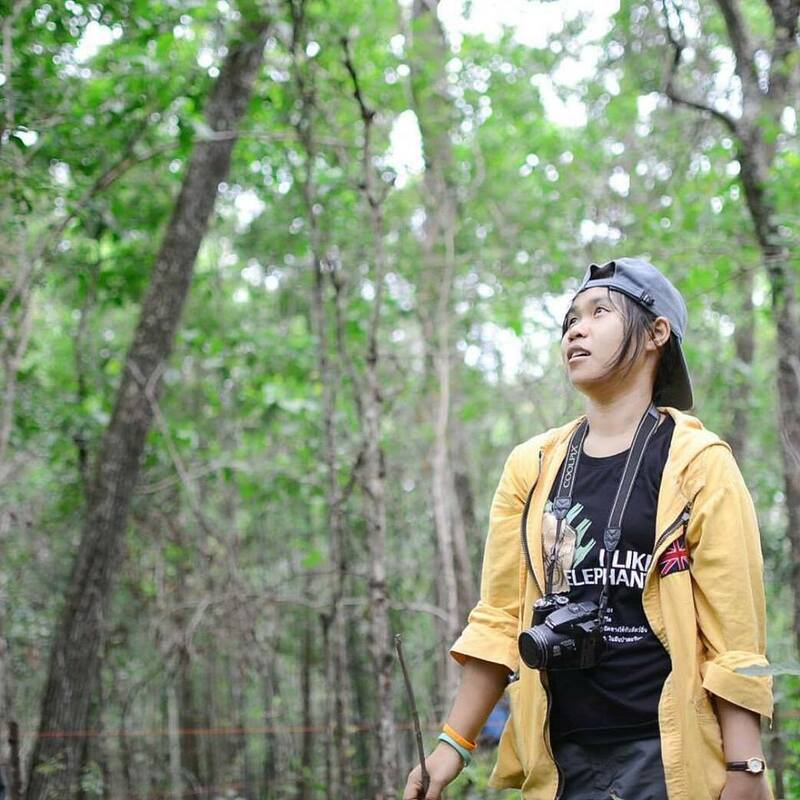 Thesis title: The effects of forest structure and food availability on the small carnivore community in Thung Yai Naresuan Wildlife Sanctuary, western Thailand. Thesis title: Estimation of and factors affecting the probability of resource use, distribution and density of small carnivores in western Thung Yai Naresuan Wildlife Sanctuary. 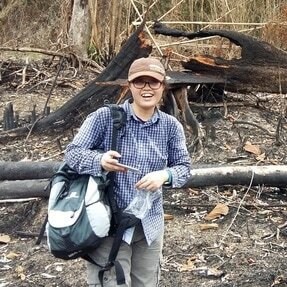 Thesis title: Responses to burning and edge effects of small mammals at Klong E Tao substation, Khao Yai National Park. 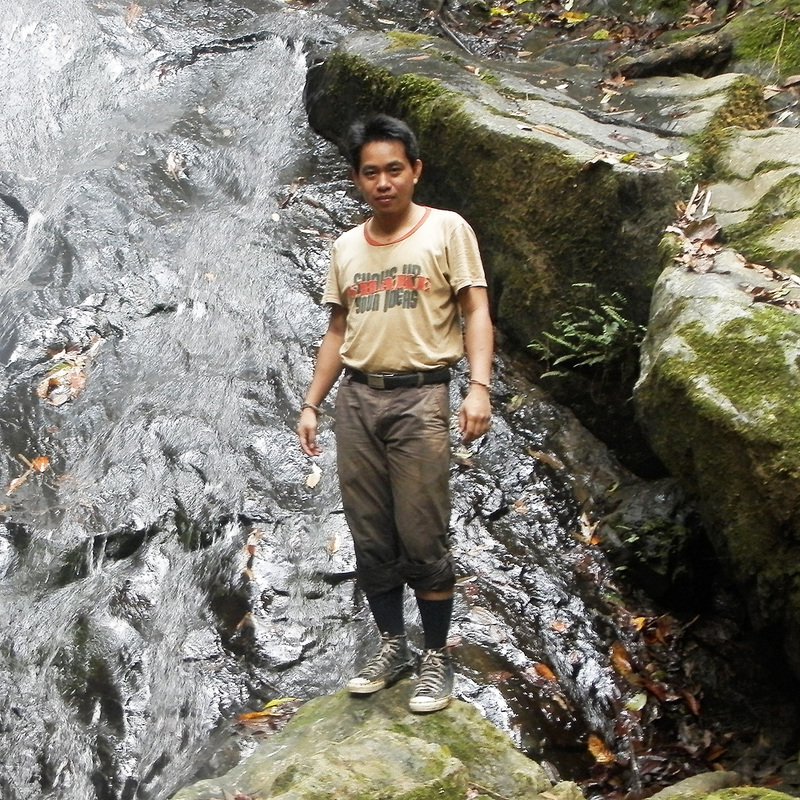 Thesis title: Effects of human-disturbance, food abundance, and habitat on small carnivores within Sakaerat Biosphere Reserve. Feeding and ranging behavior of northern pigtailed macaques (Macaca leonina): impact on their seed dispersal effectiveness and ecological contribution in a tropical rainforest at Khao Yai National Park, Thailand. Estimating green peafowl Pavo muticus status in Mondulkiri Protected Forest, Cambodia. Habitat Use and Diet of the Common Green Magpies Cissa chinensis at Sakaerat Environmental Research Station. Eco-behavioural profile of a long-tailed macaque (Macaca fascicularis) population in a human managed area of Bangkok (Thailand). Conflicts of human land-use and conservation areas: The case of Asian elephants in rubber-dominated landscapes of Southeast Asia. Impact of edge effect on the ecology, behavior and composition of pigtail macaque (Macaca nemestrina) in Khao Yai National Park, Thailand. in a seasonal evergreen forest, Thailand. Life at the extreme: the behavioral ecology of white-handed gibbon (Hylobates lar) living in a dry forest in Huai Kha Khaeng Wildlife Sanctuary, Western Thailand. Human-Tiger (Panthera tigris tigris) Conflict in Chitwan National Park, Nepal. Habitat selection and abundance estimates of Siamese fireback Lophura diardi at Sakaerat Environmental Research Station. Assessing the potential of honey bees (Apis mellifera & Apis cerana) as a means for deterring Asian elephants (Elephas maximus). Relationship among habitat quality, home range size and group size in the puff-throated bulbul (Alophoixus pallidus) at Mo Singto, Khao Yai National Park. The role of seed dispersal in the life history of tropical trees.